Similar to SimpliSafe or Frontpoint, LiveWatch is a DIY home security option for homeowners who don’t want to spend a lot of money for someone to come and plug in their systems for them. It may not have all of the flashy extras that some other home security companies have, but if you’re looking for a no-nonsense, straightforward option, then LiveWatch may be a great choice for you. Here’s a closer look at the positives and negatives of this solution. The most basic LiveWatch plan is available for $29.95/month. This plan only offers the very basic home monitoring and alert system. The Mobile Pro plan is pretty much the same thing as the Basic, but for $34.95/month it also offers crash & smash protection, which ensures your alarm signal is still delivered even if someone destroys the control panel while breaking into your home. Now things get more involved. The Total Home package runs $39.95/month and includes home automation, real time alerts, live voice assist, smartphone accessibility, and smart image capture. If you are interested in home automation, this is really where you should start looking. The final package costs $49.95/month, and offers smart video capture and live video streaming, as well. The Total Home and Total Home + Video packages come with Amazon gift cards, too. And, while they offer a 12-month contract, there are no penalties for cancelling earlier. Once you’ve chosen a monitoring plan, you’ll also need to decide which equipment package you want. There are only two choices for this, and they both cost $99. It’s just a matter of whether you want the GE keypad alarm panel or the IQ 2.0 touchscreen panel. The Plug&Protect PLUS system offers a live view camera, siren, 4 door sensors, 1 motion sensor, and mobile alerts. The Plug&Protect IQ system has the same thing with only 2 door sensors. When an event is triggered, an alarm is sent to the monitoring center via a cellular network. An automatic notification (known as an ASAPer) is sent via SMS, email, or phone call to you and your emergency contacts. Emergency contacts are pre-specified by you at the time the contract is signed. If the alert is not responded to properly, the authorities are contacted and dispatched immediately. Surveillance is all done through cellular, so your system is always up and running. With the Mobile Pro package and above, you can control your system remotely from any Android, iOS, or Windows device. The mobile app is intuitive and comprehensive, and comes complete with all the controls you would expect including home automation buttons, notifications, and settings. System setup is extremely fast with these out-of-the-box solutions. The LiveWatch system is pre-configured by the manufacturer, and once it arrives, you just have to plug in the base unit and apply the sensors to the necessary locations (doors, windows, etc.) Then just call for a systems check, and your home security system is set up. LiveWatch has an outstanding 365-day return policy. The policy offers their customers a full refund on all of the equipment purchased if it is returned within the first year of use. This is quite rare in this industry. There is also a two-year warranty for all parts in the event of damage or malfunction. 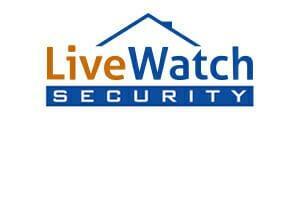 Additionally, LiveWatch provides a lifetime warranty upon request. Representatives are friendly and informative, and can be contacted via phone. With a long-standing reputation in the home security industry for being reliable, easy to work with, and honest, LiveWatch is a good choice for most homeowners. They don’t offer as many automation options or state of the art devices, but LiveWatch is certainly one of the best in the industry in terms of the way it treats its customers.